Do you make a habit of leaving notes and important information on multiple pieces of paper? Do you want somewhere to keep all of those top secrets, genius ideas and little scribbles? Here is the perfect thing! 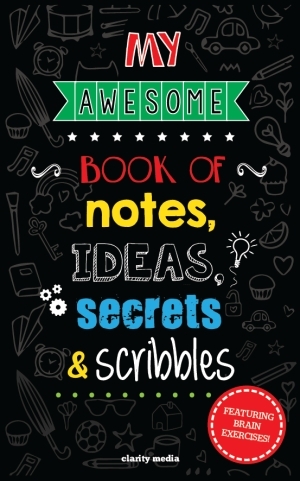 This book of all things awesome is packed with fun and challenging puzzles as well as plenty of writing space, great for making those daily lists of jotting down brilliant ideas! With over 100 pages there will be no shortage of space. With over 45 puzzles, there is plenty to keep children entertained for hours. 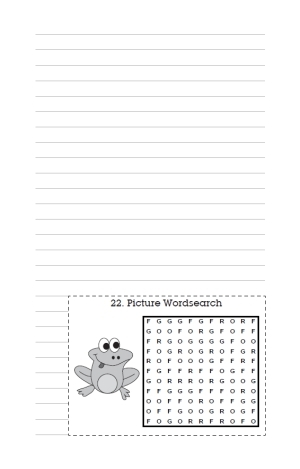 All puzzles have a solution towards the back of the book so if you get stuck, take a look there!